The college yearly calendar and semester timetable are designed to make sure that students can enjoy a balanced life. Our current calendar and timetable are available here. 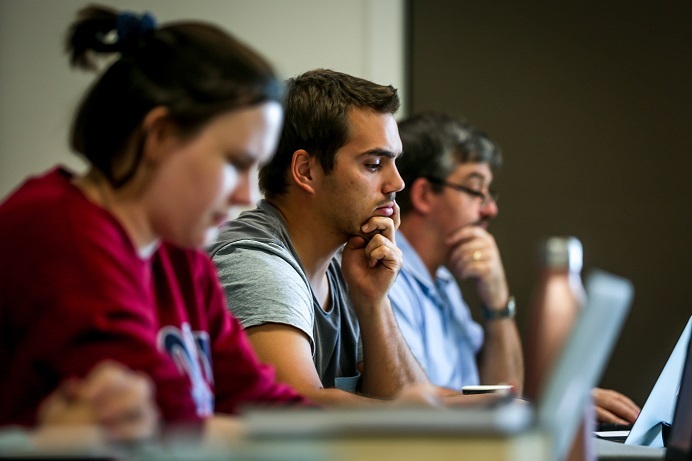 No lectures are held on Mondays or late afternoons/evenings Tues-Fri. All lectures are finished by 4:15pm. Students taking a standard full-time load of four and a half subjects in first year and four subjects in subsequent years are committed to only 16 hours of weekly college activities; 14 hours of lectures plus the community activities described below. To get an idea of what your course workload would involve, including what topics QTC units cover and what kinds of assessments you would be required to complete check out some of our sample unit outlines. 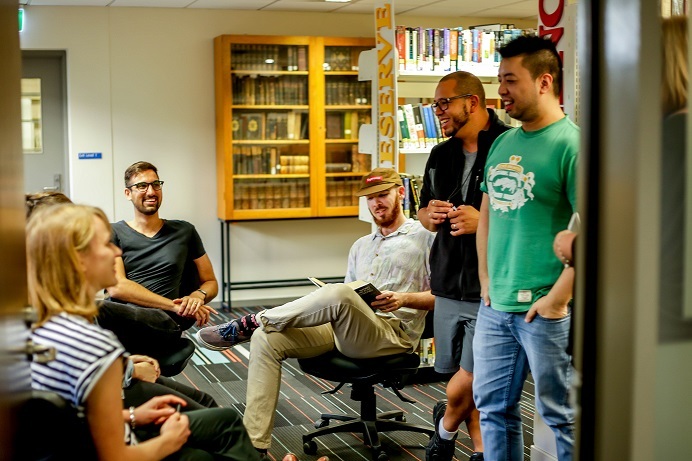 The formal class contact hours leave time for individual study and catching up informally with one another (the weekly game of touch football or soccer is a great way to catch up!). Students and staff start off the week with a chapel service. This ensures that as a community we are focused first on knowing God and being changed by Him through his Word. 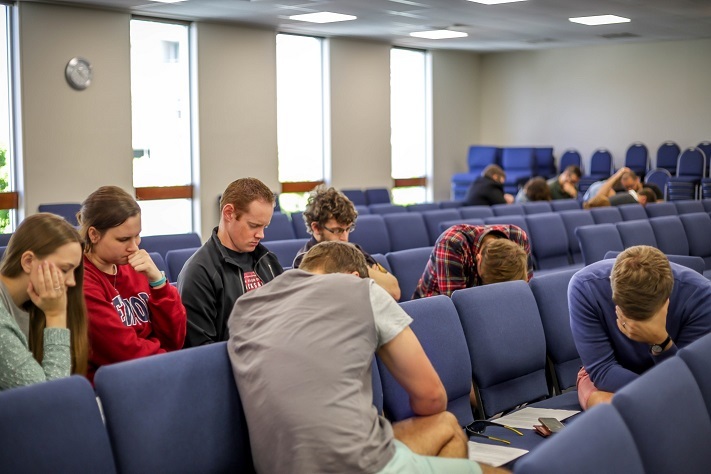 The college community meets to pray fortnightly on Thursday mornings. Students also form informal prayer groups that meet once a week to pray over lunch. 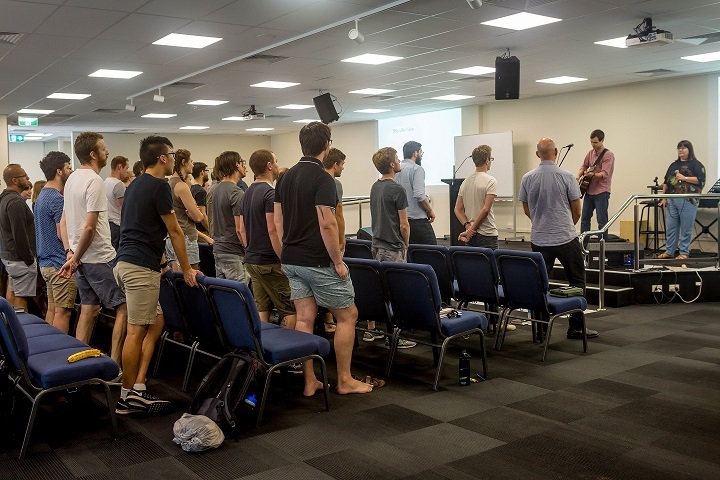 These groups give students the chance to pray for each other, the QTC community, Queensland and the world. They also mean students get to know each other on a deeper level, and can encourage one another through prayer. Every other fortnight, guest speakers from various walks of life join us to talk about living, working, and thinking as a Christian in their own particular context, and to reveal ministry issues and opportunities. These sessions help our community remain focused on serving and supporting Christians in the wider world as they seek to faithfully live and witness to Christ.